Going back to a theme that I haven't done in months: League Leader Cards That Never Were. 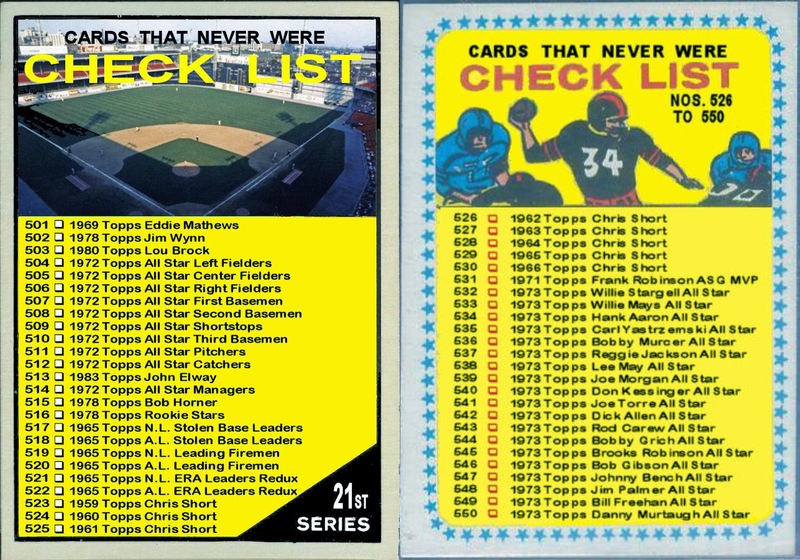 For reasons only known to Topps, there were no stolen base nor saves leader cards until 1973. In the earliest incarnations of the leader cards this extended into missing RBI leader cards as well. 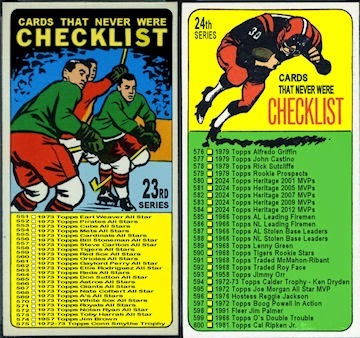 Those weren't included until the 1964 set. 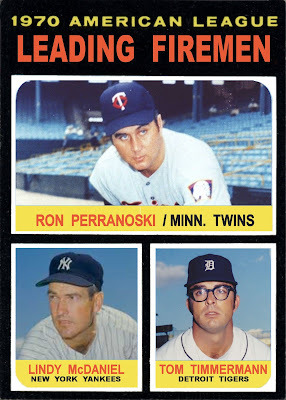 For the second year in a row Ron Perranoski won the Sporting News Fireman of the Year award. 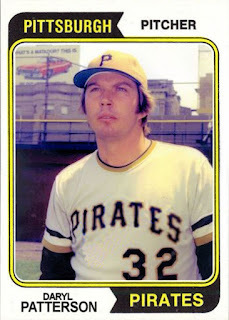 With a league leading 34 saves he also received Cy Young and MVP votes in 1970. Meanwhile, the runner up was Yankees reliever, Lindy McDaniel who was Fireman of the Year with the Cardinals in 1960 and the Cubs in 1963. Rounding out the top 3 was Tom Timmermann. 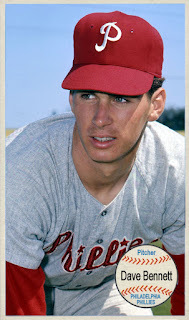 In his second year in the big leagues, Timmermann had a career high 27 saves. 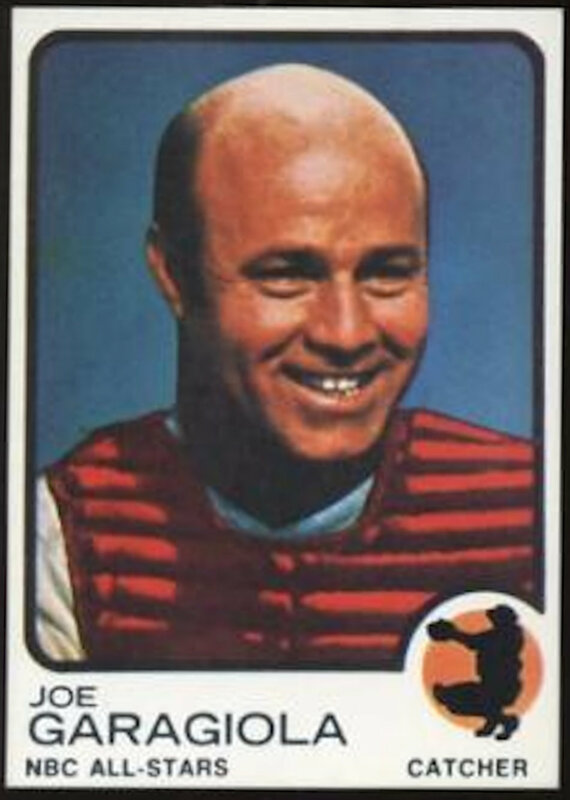 Joe Garagiola passed away yesterday at he age of 90. 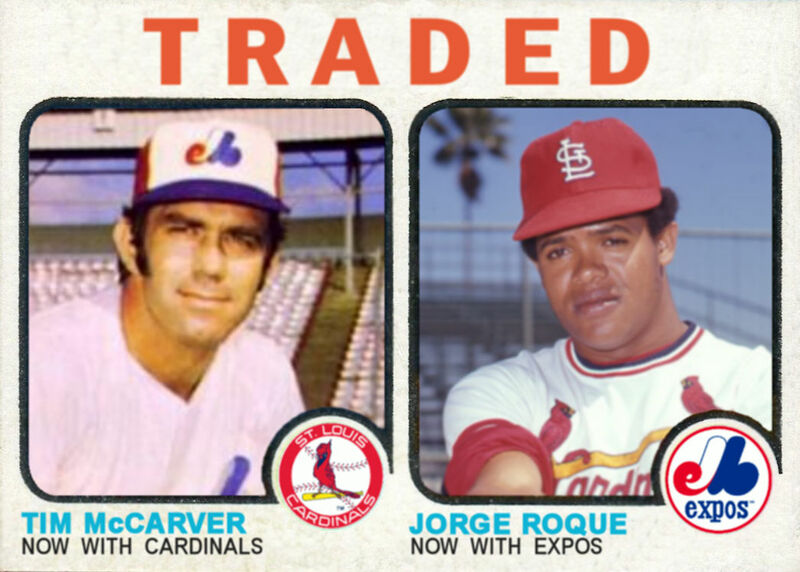 A St. Louis native who spent most of his career with the Cardinals. He also played for Pittsburgh and ended his career with the New York Giants in 1954. 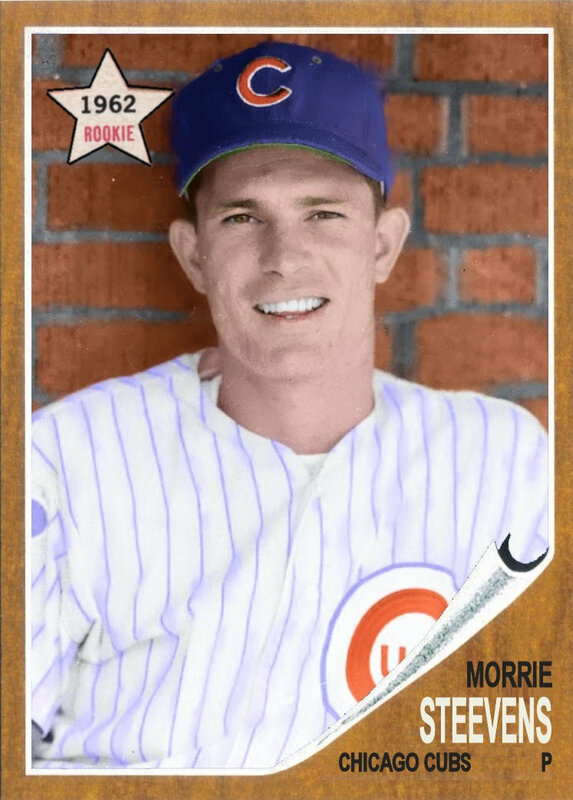 He came to the Cubs in 1953 in a trade that also brought Hall of Famer Ralph Kiner. 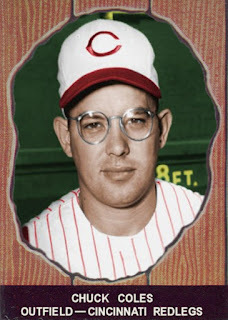 Athough he appeared on Bowman cards from 1951-1954 his only Topps card was in 1952. 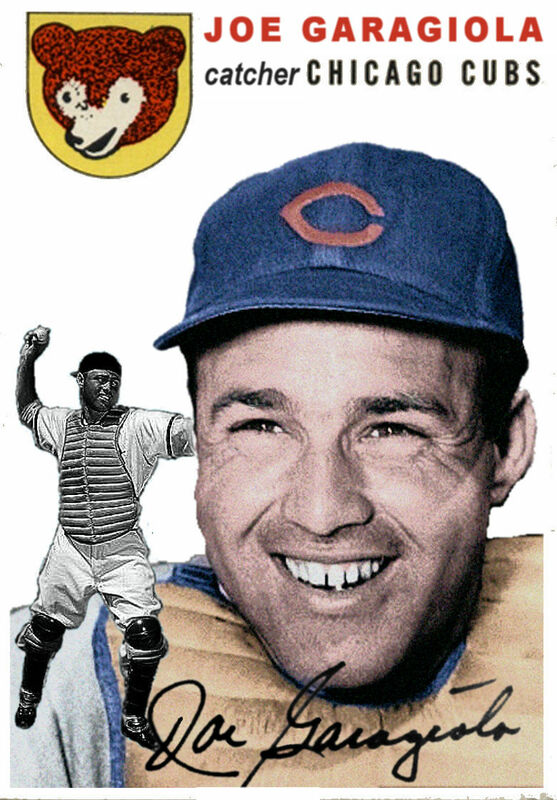 So here is my tribute to him representing my hometown team in 1954. After baseball, Garagiola went into broadcasting. But his skills went beyond just calling the plays or providing color. He was on the Today Show, hosted several game shows and even guest-hosted for Johnny Carson. 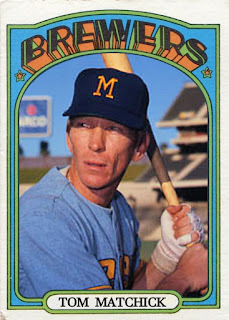 During that time his business card was actually a Topps-made 1973 style baseball card. There are several of these floating around out there, many of them signed by Garagiola himself. 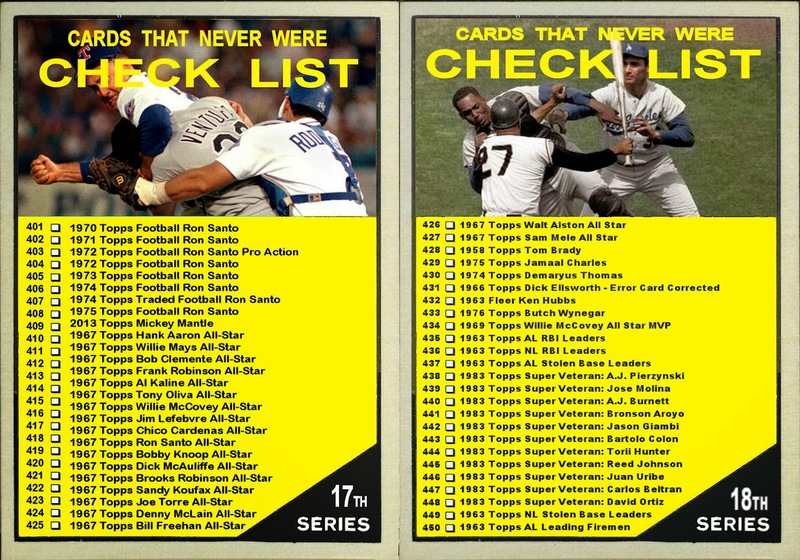 This time a full 16 of the 25 Cards That Never Were in this series were created for my other blog, Rating The Rookies. It also include 2 tribute cards. Both Walt Williams and Hall of Famer, Monte Irvin passed away during the making of this series. 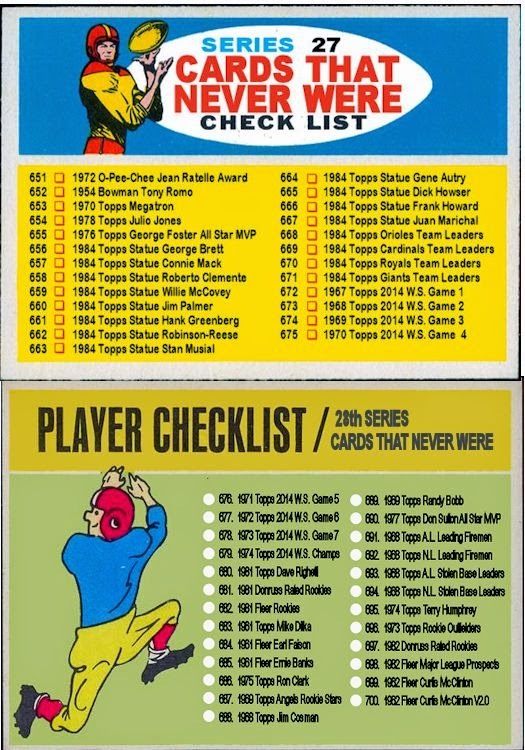 When I started making this version of checklist, I wanted to include a photo similar to the 1967-69 Topps. I never really intended the photo to be a memorial, but it seems to have worked out that way. 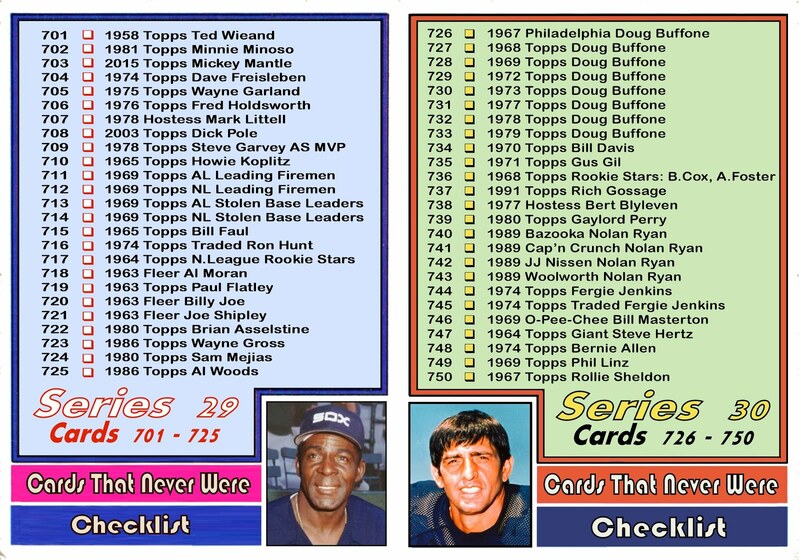 I used Minnie Minoso in my 29th, Doug Buffone in my 30th, Yogi Berra in my 31st and now Walt Williams in my 32nd. 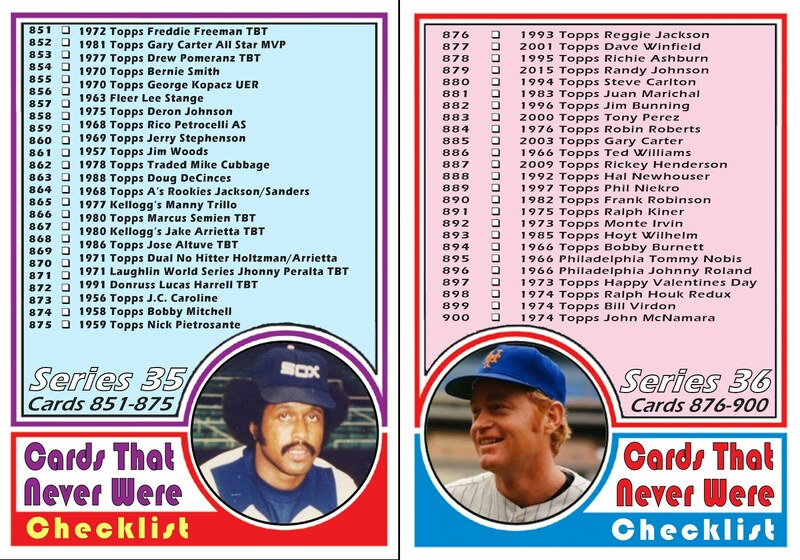 I could have used Monte Irvin but felt the design had more of a '70s vibe, so I went with "No-Neck". 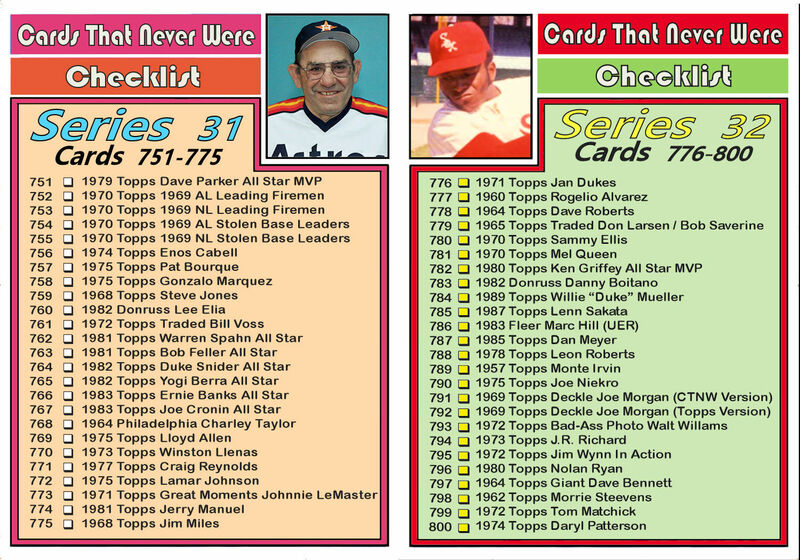 I included 2 versions of my custom 1969 Deckle Joe Morgan. After I made the first version using a candid shot of Morgan. A reader commented that it was somewhat of an anachronism. 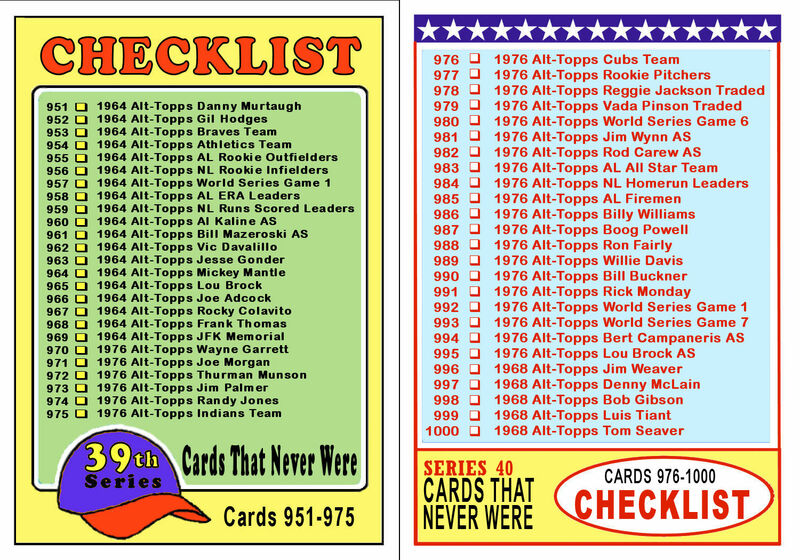 So I made another similar to how Topps would have made one at the time, posed with the Astros logo air-brushed out. 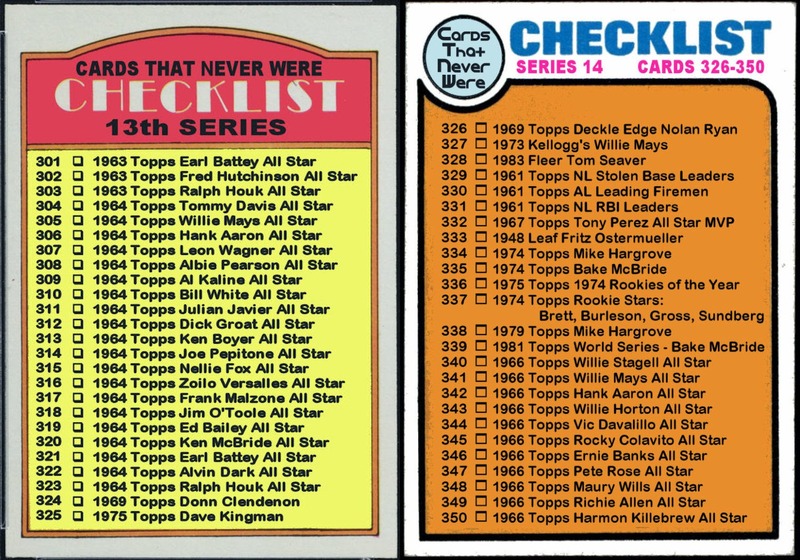 Also while creating this checklist, I noticed I spelled Marc Hill with a "k" inadvertently so it is designated "UER" for uncorrected error. 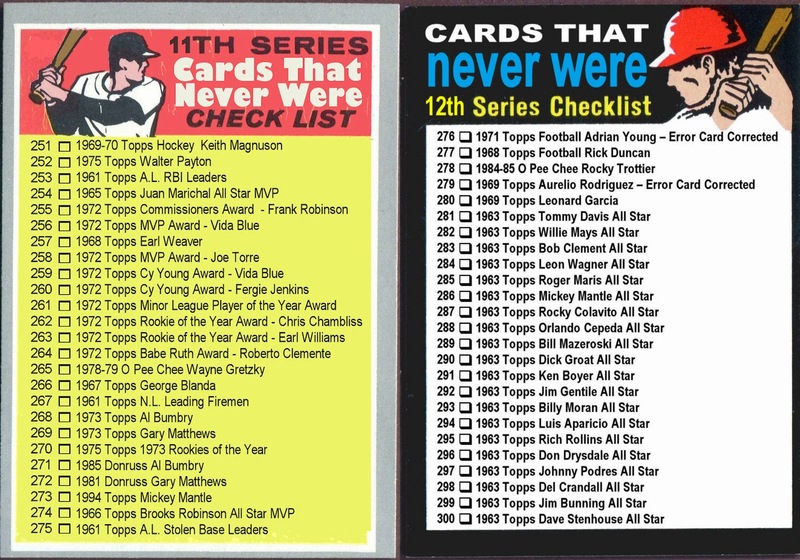 As usual, you can click here to see all the cards from this series along with Series 31 without all those boring words to slow you down. 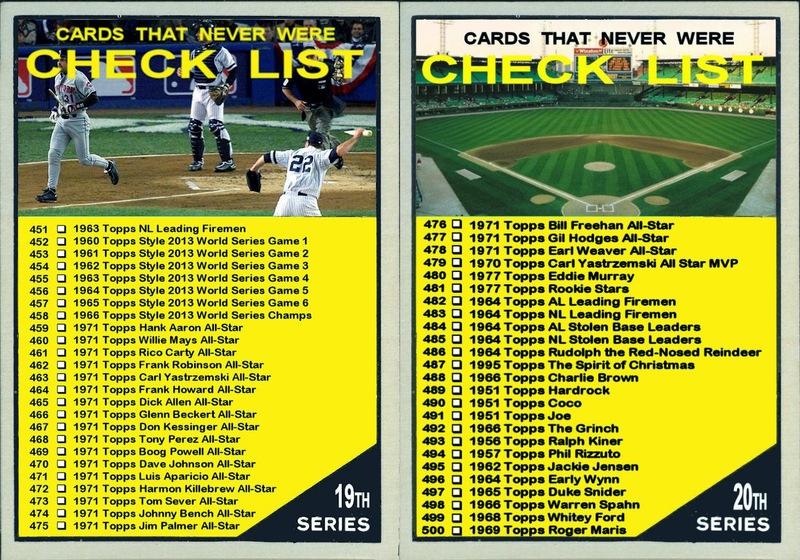 Or you can check out this series or any of my other series by clicking on the mini-checklists in the right margin. What's going on at my other blog? 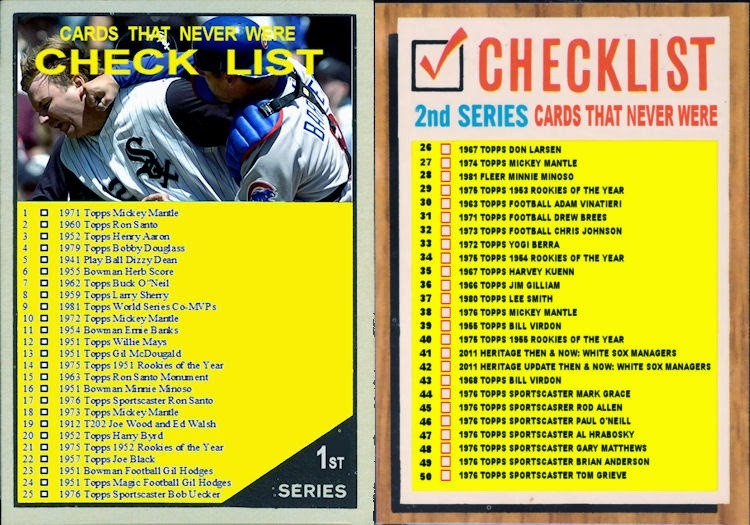 Just a quick post of some of the Cards That Never Were that I created for my other blog: Rating the Rookies. 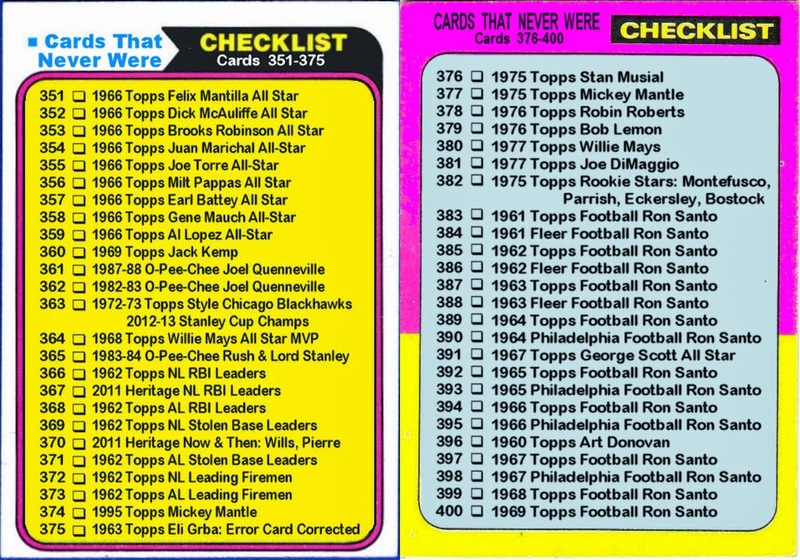 Perhaps this would be a good time to point out something that almost every collector knows: for every rookie card that has a legit future star, there are dozens of players that don't make it big. 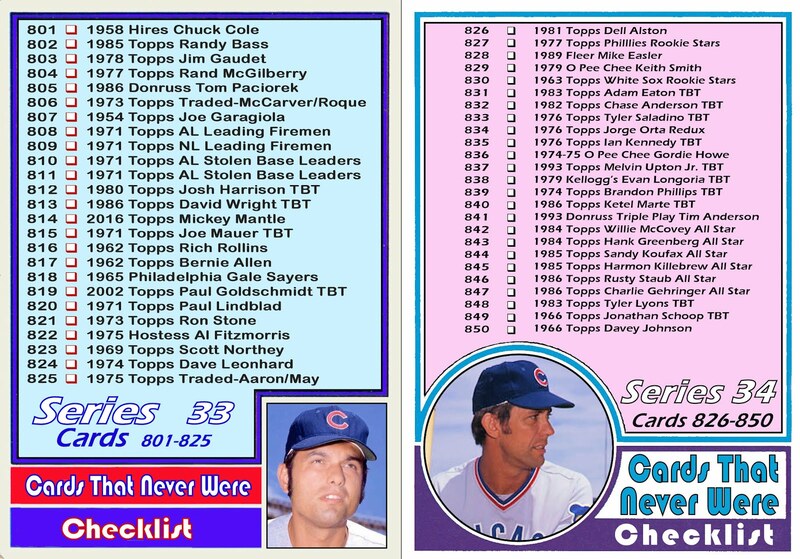 This batch of cards certainly proves that point. 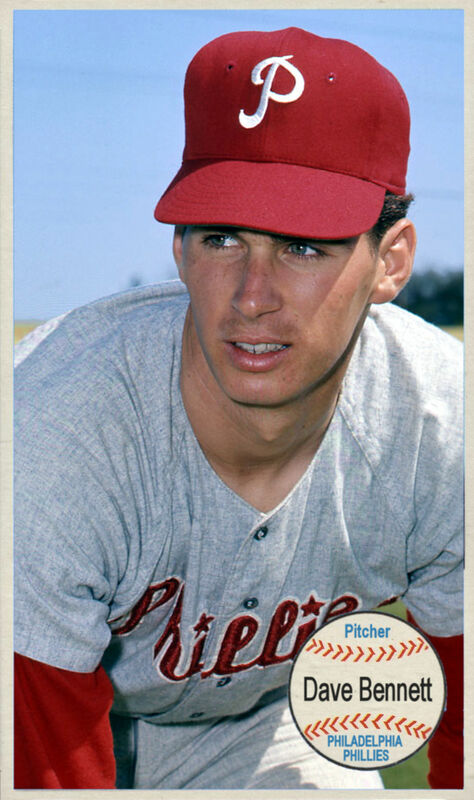 Most of Dave Bennett and Morrie Steevens (no, not a typo) short MLB careers were behind them by the time they appeared together on this 1965 Phillies Rookie Stars card. 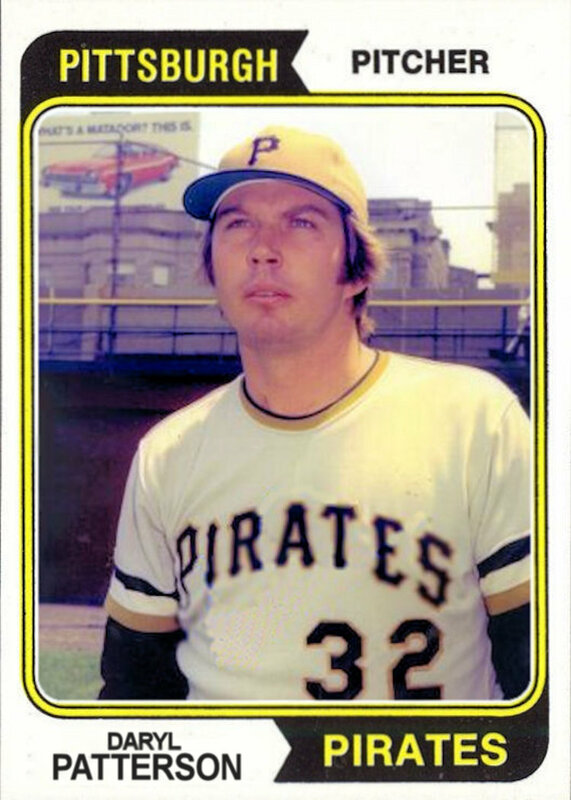 Steevens ended up pitching just 2.2 innings in 1965 which was exactly 2.2 more than Bennett. 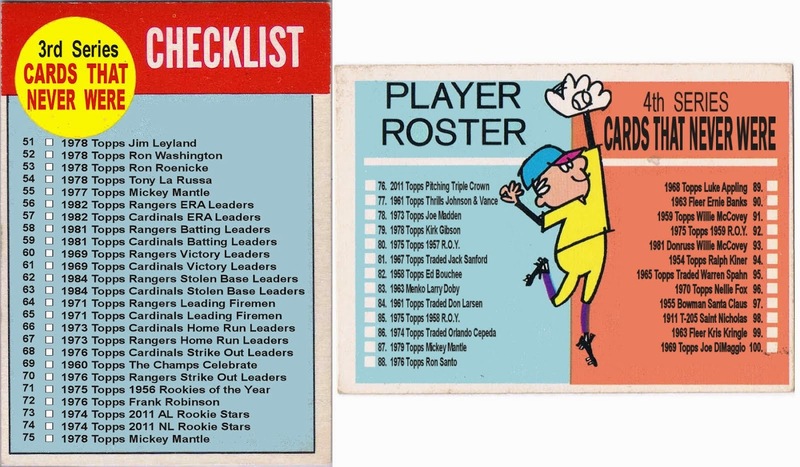 Tommy Matchick and Daryl Patterson were on the same 1968 Tigers Rookie Stars card. At face value, it looks like any other mundane rookie card. But it seems like there is always a good story hidden somewhere. Just ask Pedro Borbon, AKA the "Dominican Dracula". Chuck Coles was an early one and done. 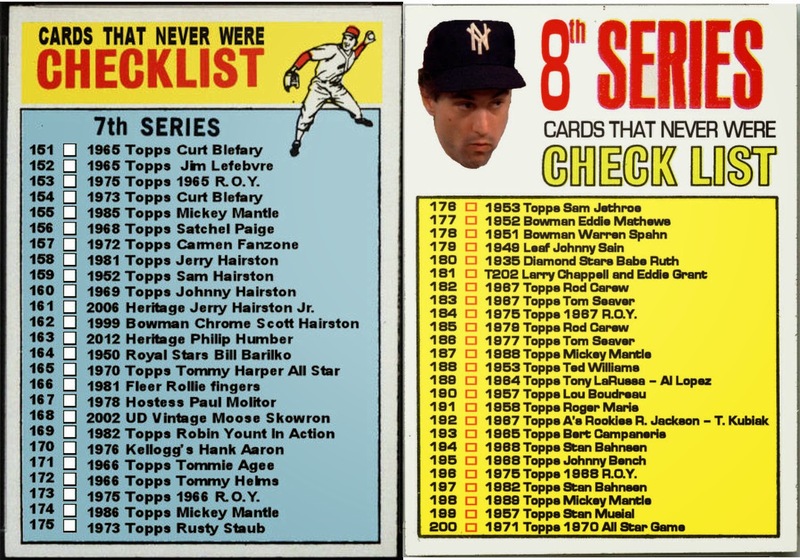 His one and only baseball card was a Topps Sporting News Rookie Stars of 1959 card. 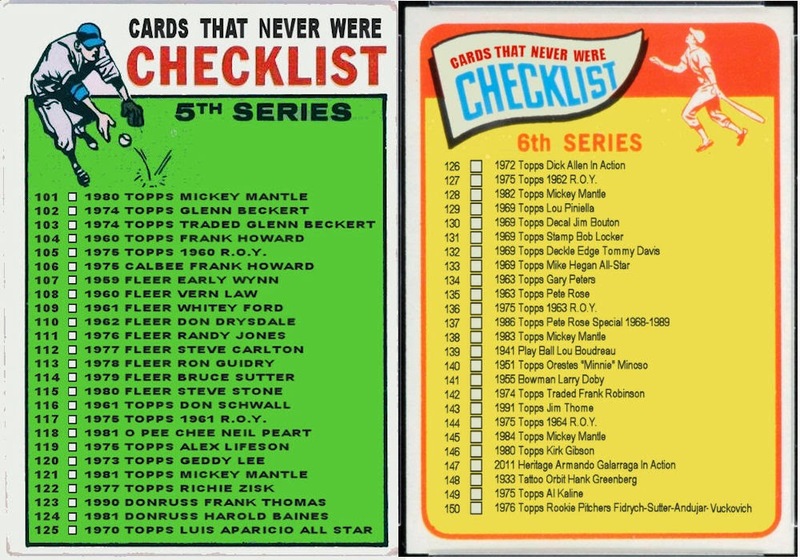 1959 was the birth of the designated rookie card. 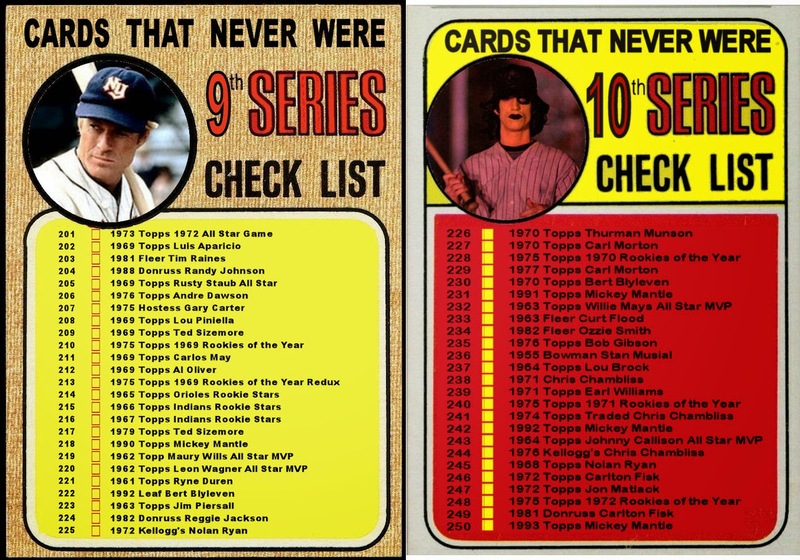 Unfortunately, most of the players in that series didn't live up to Topps' expectations. 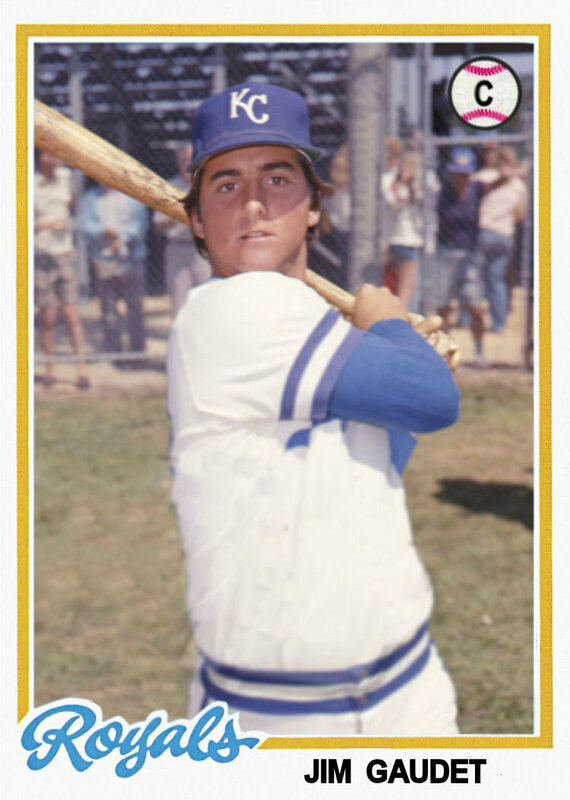 Randy Bass, Jim Gaudet, and Randy McGilberry were captured in grainy black and white on a Royals 1979 Prospects card. 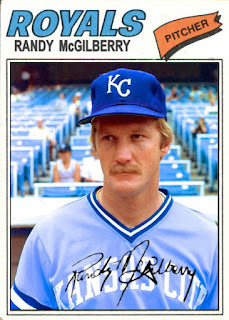 Only one of them actually played on the Royals in 1979. 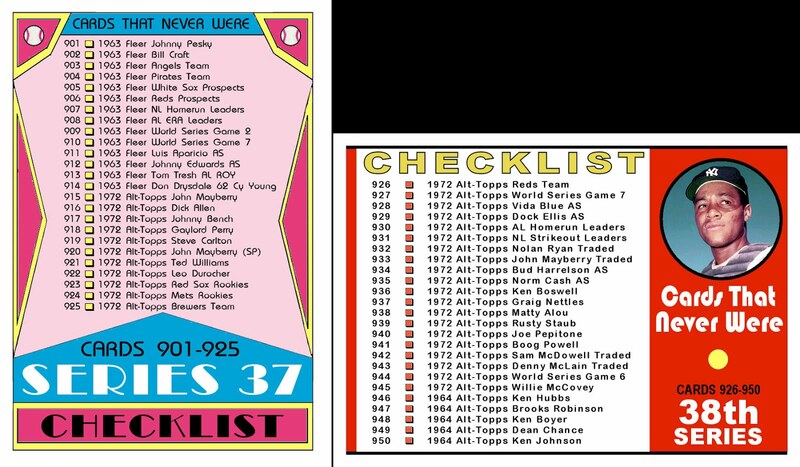 In 1973 Tom Paciorek and Jorge Roque shared a 1973 Rookie Outfielders card with the 1973 NL Rookie of the Year, Gary Matthews Sr. I had to dig deep to create Cards That Never Were for Paciorek and Roque but had several already in the bank for Mathews right here. 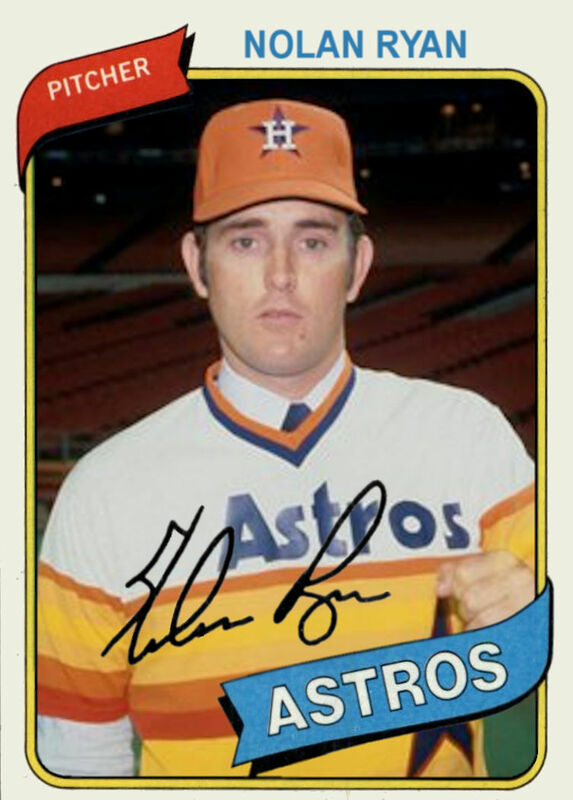 The blockbuster move of the 1979 off-season was the free-agent signing of Nolan Ryan. 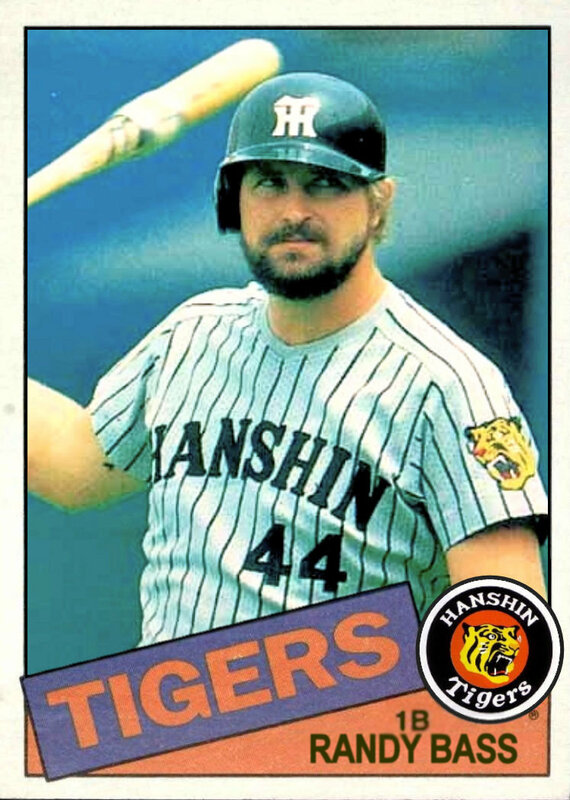 Ryan became the first million dollar player in Major League Baseball. 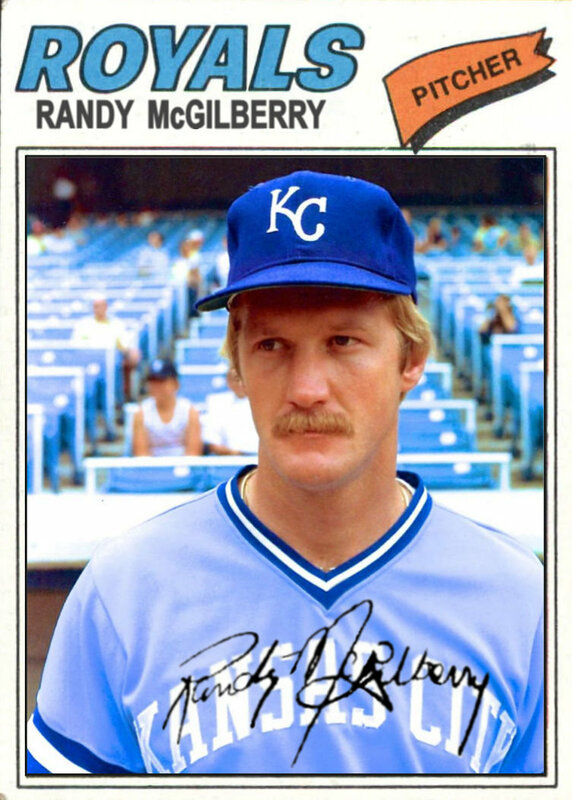 His 1980 salary for the Astros, $1,125,000 was more than his combined salary for all his previous 13 MLB seasons with the Mets and Angels. 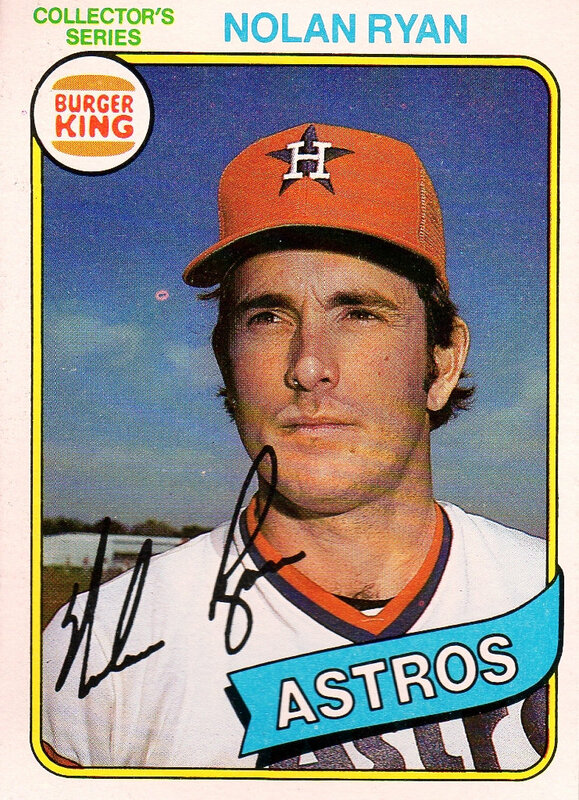 To this day, Ryan has the most strikeouts of any Astros pitcher with 1866. Yet his 106 wins in an Astros uniform was only good enough for 6th place. 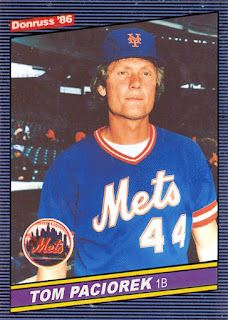 He had 1 less than J.R. Richard and 28 fewer than Astros all-time leader Joe Niekro, both of whom are featured on my top 5 list. Although Houston signed Ryan in November of 1979, he still appeared as an Angel in the 1980 Topps set. I created this card using a press conference photo with Ryan wearing his new team jersey over a dress shirt and tie. 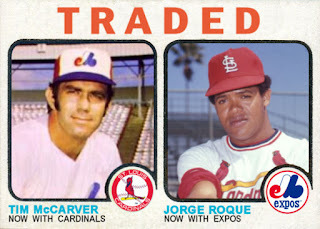 I'm not sure if Topps would have gone this route or simply relied on the trusty old air-brush. 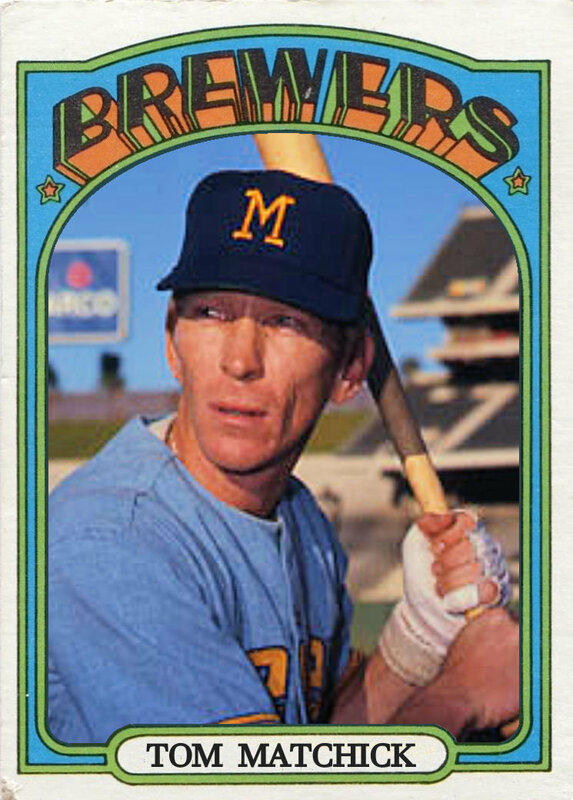 There was a 1980 Topps-issued card featuring Ryan on the Astros. Burger King offered a 3 pack of Pitch, Hit and Run cards with the purchase of a large fries. 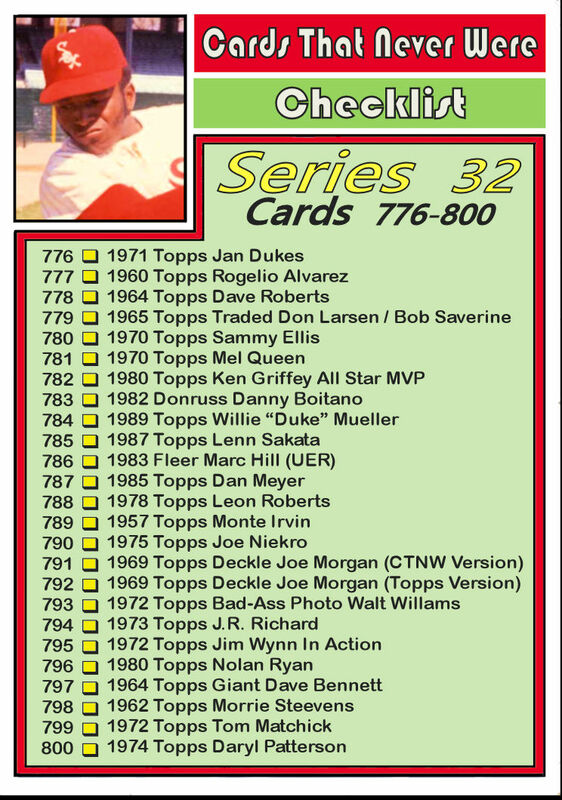 This 33 card set featured 11 pitchers, 11 hitters and 11 runners. 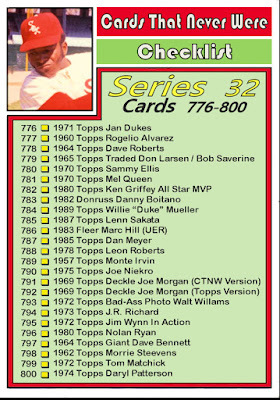 It was also the first set to feature Joe Morgan in an Astros uniform after his free agency signing in January of 1980.